GO.23 Dated 18th Nov 2014. Telangana State Four Icons- Spotted Deer, Indian Roller, Jammi Tree, Tangedu Flower. Telangana Chief minister K Chandrashekar Rao on Monday announced Telangana’s four new state icons. 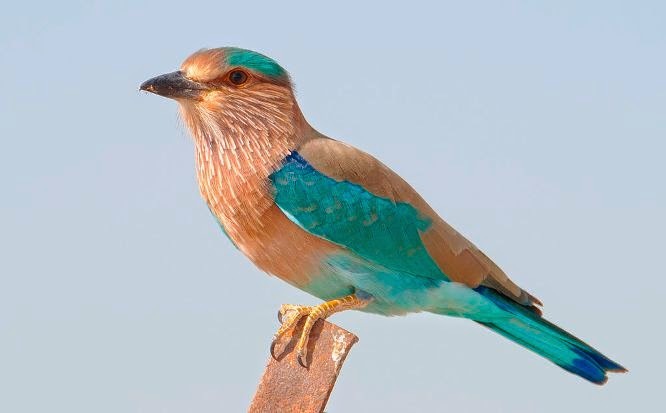 They are: the State Animal -- ‘Jinka’ (Deer); the State Bird -- ‘Palapitta’ (Indian Roller or Blue Jay); the State Flower -- ‘Tangedu’ (Cassia Auriculata); and, the State Tree -- ‘Jammi Chettu’ (Prosopis Cineraria). 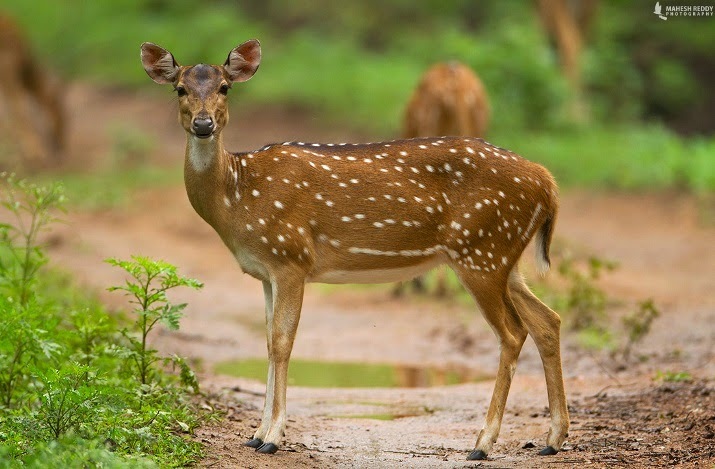 ‘Jinka’: “Deer is deeply associated with Indian history and a reference to this graceful animal was there in the great epic Ramayana. 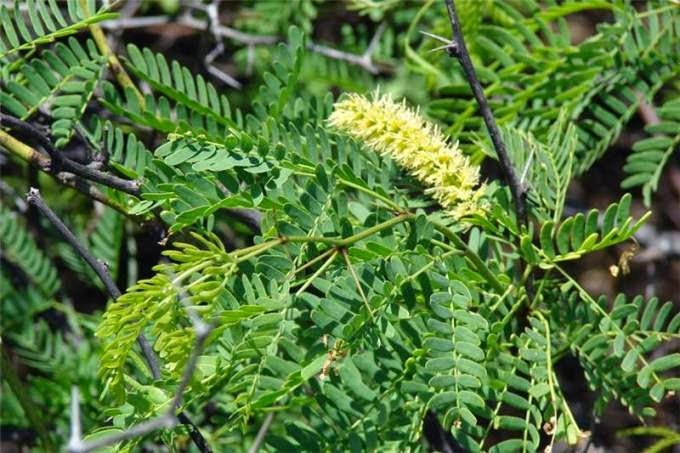 It can survive in the smallest forests also. It reflects the mindset of the people of Telangana as it is very sensitive and innocent”. ‘Palapitta’: “Lord Rama spotted the ‘Palapitta’ before invading Lanka and vanquished Ravana. ‘Palapitta’ has been chosen to put Telangana on the path of victory”. ‘Jammi Chettu’: “Pandavas had vanquished a large army of Kauravas only after performing worshipping the ‘Jammi Chettu’. They had hidden their weapons on a ‘Jammi Chettu’ when they had been forced into exile in the forests. Now, Telangana requires the blessings of the ‘Jammi Chettu’. 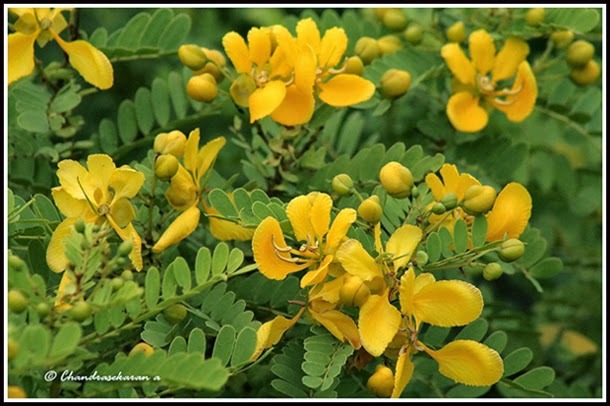 ‘Tangedu’ Flower: ‘Tangedu’ flower which is used during the ‘Batukamma’ festival by women folk is the most appropriate choice as the state flower.